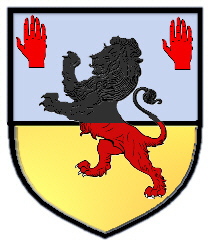 Coat of Arms: A shield divided per fesse silver and gold, with a lion rampant per fesse black at the top and red at the base, and two red right hands in chief. Motto: Deo fidelis et Regi. 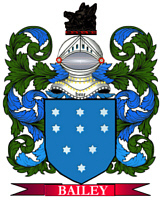 Spelling variations of this family name include: Daly, Daley, Daylie, Dayley, Dalley, Dailey, Daily, Dailley, Dally, O'Daily, O'Daley and many more. First found in county Cork where they held a family seat from very ancient times. Some of the first settlers of this family name or some of its variants were: the Widow Daley who settled in Canada in 1846; James and George Daley settled in Virginia in 1646 and 1655 respectively; Charles, Daniel, Dennis, Edward, Francis, Hugh, James, John, Joseph, Kerens, Michael, Patrick, Peter, Rose, Thomas and William Daley all settled in Philadelphia in the 19th century.